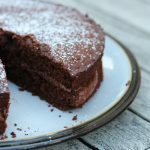 This gluten free vegan chocolate cake is very simple to make with very few store cupboard ingredients. It uses only wholesome natural ingredient for a more delicious cake. 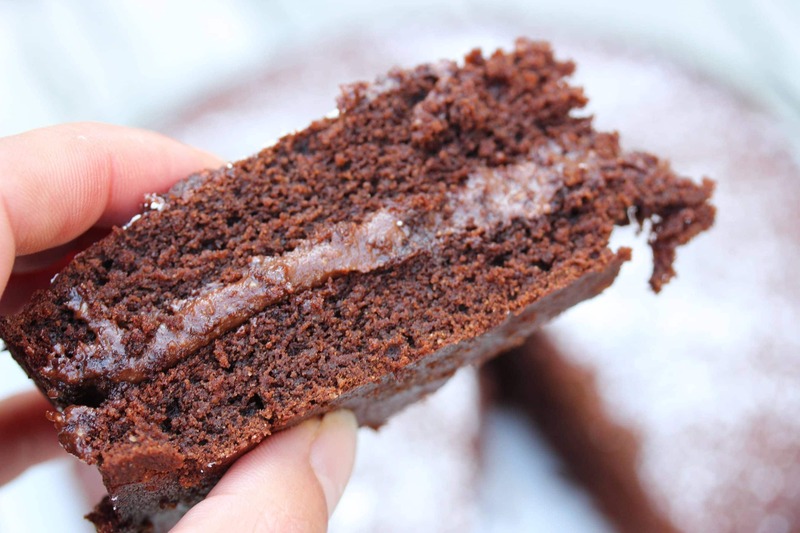 This gluten free vegan chocolate cake came about out of sheer necessity. If you’re vegan and you’ve come to my site for the recipe please know that I don’t claim to be vegan. I create my recipes for people with restricted diets, not out of choice, but out of necessity. Therefore please don’t be offended by the meat and animal products that I do use in my recipes. For us, it’s essential to eat what we can because there are lots of things our bodies won’t allow us to eat. Anyway, with that caveat out of the way I will continue with the story of how this baby came about. Asthma isn’t something that I talk about much. I’m not sure why because it plagued my life as a kid and is doing the same with my kids. One of my first memories is being in Dr Hooper’s waiting room, lying in my mum’s arms wheezing loudly and struggling to breathe. I remember feeling scared and I also remember the injection into my bottom that helped ease the wheeze. It was probably in the late 70’s and I’ve no idea what the injection was. However, I do remember the lovely tasting Ventolin syrup that I had to regularly take when my chest was bad. When I was older I moved onto an inhaler. I remember climbing on top of the washing machine to insert the little capsules into the spinhaler before breathing the medicine in. It made a whizzing sound when you inhaled correctly and it tasted horrible. Anyway, by the time I was around 12 I grew out of asthma and am rarely affected now. Unfortunately the affliction was passed to my two children. I’ve had many nights of hovering over their beds, listening, worrying. And with ‘Sunshine’ we’ve had two trips in an ambulance too. It’s an awful condition and one that can completely take you by surprise. On Monday night ‘Roo’ came home and dashed upstairs to take her inhaler. She’d been fighting a cold over the weekend but her breathing hadn’t been too bad. She came down, made gingerbread men and then chilled in front of the TV. Her breathing got worse and she took more of her inhaler. But it was only after dinner that I realised how bad her breathing had become. Needing the inhaler again, just an hour after taking 6 puffs of Ventolin I knew I needed to act. At 8.15pm we traipsed to the hospital to see the out of hours doctor who gave us the choice of staying in over night or going home with oral steroids and close monitoring. Of course we chose the latter, which meant me hovering over her bed most of the night. Anyway…back to the gluten free vegan chocolate cake. As I say, it was created out of necessity. By yesterday afternoon she was feeling a little better. How do you make vegan chocolate cake with minimal ingredients? Tuesday is not a good day. Tuesday is the day that we get our shopping delivered and there is usually nothing left in the house. But chocolate cake had been requested and I darn well needed it too with my lack of sleep! Now I work best when there is a need. There is no procrastination, just action. So with no eggs, butter or margarine in the house I needed to think laterally and a gluten free vegan chocolate cake was born. 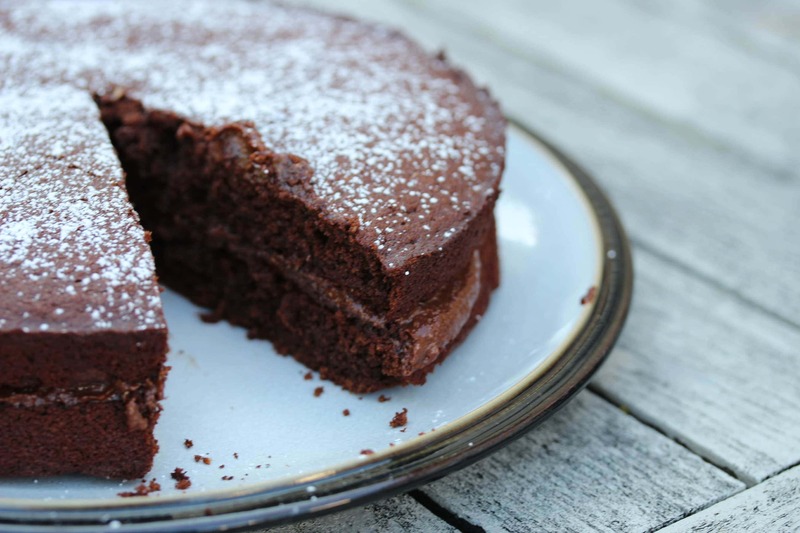 Based on the free from chocolate cake recipe I made for my dear friend Mel (from Le Coin De Mel…check out her blog if you haven’t already) years ago, this one uses what I had in the house. Thanks to the brilliant Coconut Merchant, I always have their products in the house. I’m one of their Contributing Chefs and as such am always experimenting with their goodies. So my gluten free vegan chocolate cake uses coconut oil and ground almonds for the fat, coconut sugar and molasses for sweetness and binding, baking powder for rise, almond extract to disguise the taste of the coconut (Mr M hates coconut) and of course my wholegrain gluten free flour blend. If you don’t know why a good quality gluten free flour blend is essential for baking then check out this article explaining what a gluten free flour blend is. How do you make vegan icing? I made this icing with cashew nuts. So much better than a dairy free icing made from margarine. Not only because margarine is the devil’s fat but because nuts (if you’re not allergic to them) are a fabulous source of protein, fibre, vitamins, minerals and antioxidants. The icing takes some trust in yourself. I want you to learn to do this because it’s really important, not just in cooking but in life. So, I’ve given approximate quantities but I’d like you to experiment to get the taste and consistency that you like rather than me always telling you what to do. It’s OK…you can’t go wrong if you add a little of each ingredient at a time. 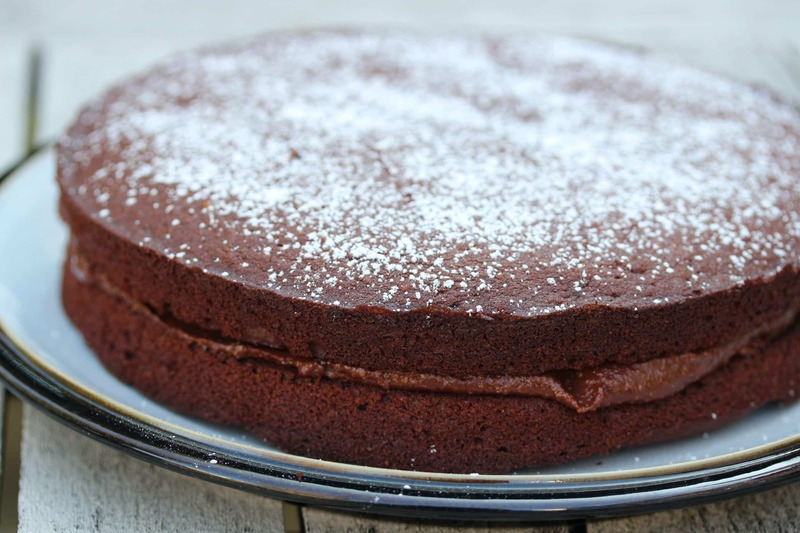 My gluten free vegan chocolate cake especially developed for those whose cupboards are bare. Or who can’t (or don’t want to) eat gluten, dairy, eggs, soya or refined sugar. And if you want a deeper more impressive looking cake, just double the ingredients and up the cooking time. I use my Sage mixer for almost all my baking. It makes light work of beating, whipping and mixing ingredients and is very reliable. If you don’t have an electric mixer you could use a handheld one such as this instead. I haven’t used it but it gets very good reviews. To make the icing you’ll need a small handheld chopper. This one looks very similar to the one I have and the additional attachments are really useful for making soup, smoothies and whipping things like cream. For baking the cakes you’ll need two 15cm round cake tins. Finally, a wire rack for cooling the cakes on. If you have a grill pan with a wire rack in you could use that instead. When the cake is cold spread the chocolate icing onto one and top with the other. Sprinkle with icing sugar (not refined sugar free) if desired and serve. turned out well, using Dove’s Farm flour. when I do some baking. 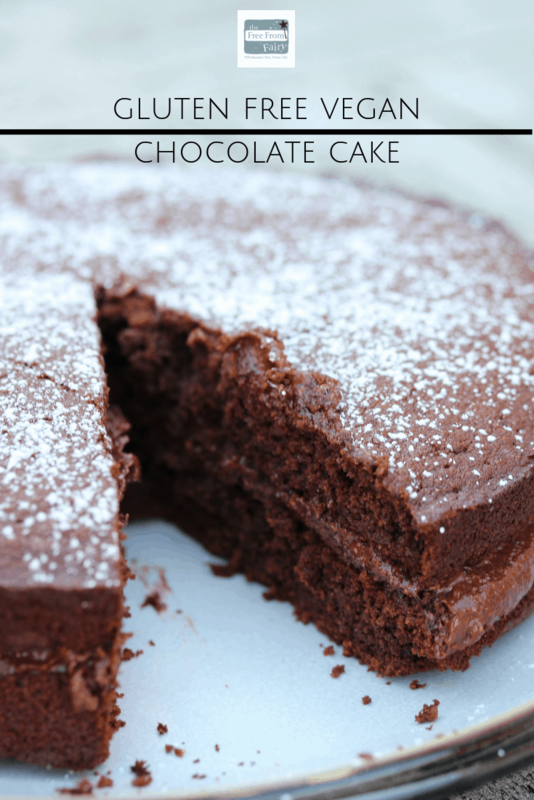 Delicious cake – very chocolatey, rich and not too sweet. Thank you! Ooo good! So glad you liked it.